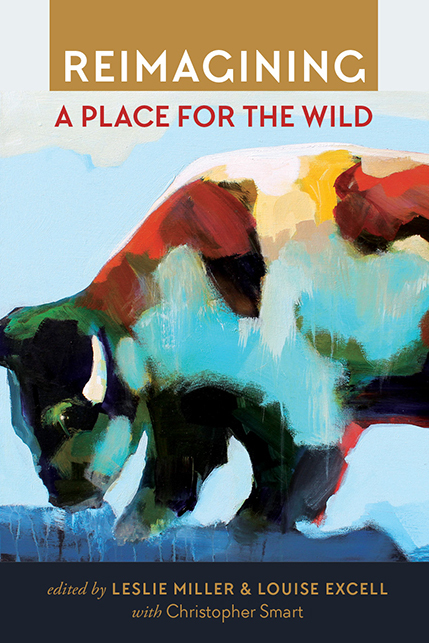 Reimagining a Place for the Wild contains a diverse collection of personal stories that describe encounters with the remaining wild creatures of the American West and critical essays that reveal wildlife’s essential place in western landscapes. Gleaned from historians, journalists, biologists, ranchers, artists, philosophers, teachers, and conservationists, these narratives expose the complex challenges faced by wild animals and those devoted to understanding them. Whether discussing keystone species like grizzly bears and gray wolves or microfauna swimming the thermal depths of geysers, these accounts reflect the authors’ expertise as well as their wonder and respect for wild nature. The writers do more than inform our sensibilities; their narratives examine both humanity’s conduct and its capacity for empathy toward other life. A selection of photos and paintings punctuates the volume. This collection sprang from the Reimagine Western Landscapes Symposium held at the University of Utah’s Taft-Nicholson Environmental Humanities Education Center in Centennial Valley, Montana. These testaments join a chorus of voices seeking improved relations with the western wild in the twenty-first century. Leslie Miller directs the Reimagine Western Landscapes Initiative. She was a leading advocate for open space preservation in Park City, Utah and has served on the University of Utah College of Humanities Partnership Board since 2003. She is a writer with feature stories in Park City Magazine, Salt Lake City Weekly,Carmel Magazine, and other publications. Louise Excell is emeritus professor of English and humanities at Dixie State University. She now volunteers for environmental projects and serves on the boards of the Virgin River Land Preservation Association, the Mesa Retreat Center for Writers and Artists, and the Reimagine Western Landscapes Initiative. Christopher Smart has been a Utah journalist since 1983. Formally educated in biology, he has long been interested in the wild and the meaning it holds for culture and people. PART 4. ETHOS: WITHER HUMANITIES?